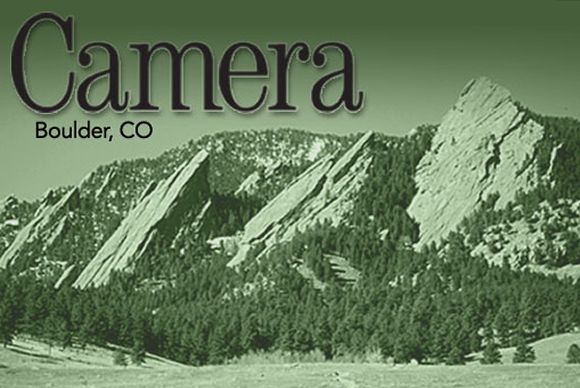 Published in the Boulder Daily Camera on September 7th, 2014. As sustainability activists in Boulder, we disagree with Raymond Bridge’s guest column, “Council should pause growth.” Many of us are longtime PLAN Boulder supporters and appreciate their contributions. But on this issue, they are out of touch. For example: is building housing at 30th and Pearl — right next to the new transit center, with shopping, restaurants, and many jobs within easy walking distance — really ruining our city? Did the parking lots and car dealerships that until recently dominated that area somehow contribute more to the character of our community? The real issue with development in Boulder is not today’s projects, but the way we built from roughly 1945 to 2000. During that time we ditched the compact, walkable pattern of traditional American towns. Instead, along with most of the country, we built large, houses in a context of oversized roads, parking lots, and neighborhoods separated from schools, jobs, shopping and services. These development patterns are directly linked to the transportation and energy-use problems that have gotten us into today’s climate pickle. The post-war drive-thru mentality also compromises air quality and has led to more overweight, unhealthy people, including ourselves and our own children. Low-density development devours space that could be used for affordable housing, including apartments, townhomes and single-family homes on smaller lots. Speaking of housing, what exactly is wrong with apartments? Half of Boulder’s citizens are renters, who are well served by having more options, especially in our exceptionally tight housing market. Young creatives and entrepreneurs are seeking out rentals in lively, more urban neighborhoods where they often don’t have to drive, and can walk to most places they go on a daily basis. In fact, the number of miles driven by Americans aged 16-34 has dropped a whopping 40 percent in the last decade alone. It’s unclear whether the millennials are going to want — or be able — to buy into Boulder’s single family detached housing market any time soon. If we’d like them to make Boulder home, we need to create more compact, livable, walkable, bike-able neighborhoods. As many of us age and want to downsize, this will also give us options for staying in town. The changes underway aren’t ruining our city — they’re making Boulder a more lively, welcoming place. All around the nation environmental advocates and smart growth supporters celebrate when employers choose to locate in town, rather than in suburban office parks. We are glad that Google wants to locate at 30th and Pearl near transit and bike paths rather than Interlocken, or out on I-25 in Weld County. From an environmental perspective, the data is overwhelming — per capita energy use for both buildings and transportation is far less in the type of neighborhoods we are now building in Boulder. The city carefully tracks vehicle miles traveled. Even with twenty years of infill the number of miles driven in Boulder hasn’t increased since the early 1990s! Boulder can do better, and since 2000 we have started to: notable redevelopment successes include Holiday, Red Oak Park, Steelyards, the Main Street style redevelopment of East and West Pearl, and the addition of vibrant places with a strong civic presence like the St. Julien Hotel. We should all work together to shape a sustainable vision that will improve our community. Throwing a wrench into current projects and undesirable elements of a preserving suburban reality that Boulder has inherited from our auto-centric late 20th century planning experiments cannot fulfill such a vision. Instead of trying to shut down redevelopment and infill, we should be working to make it better — by reducing parking requirements so we can house people instead of cars, allowing smaller homes and micro housing units, giving homeowners more options for sharing their homes, whether through co-ops or granny flats, and improving street level design to make these areas more friendly and inviting to pedestrians. Boulder is a great place to live — but together we can make it even better. Call your Council members if you agree or write council@bouldercolorado.gov. And if you want to be part of a growing movement to make Boulder even better, send us an e-mail at info@betterboulder.com. Sue Prant and Mimi Mather are with Better Boulder.